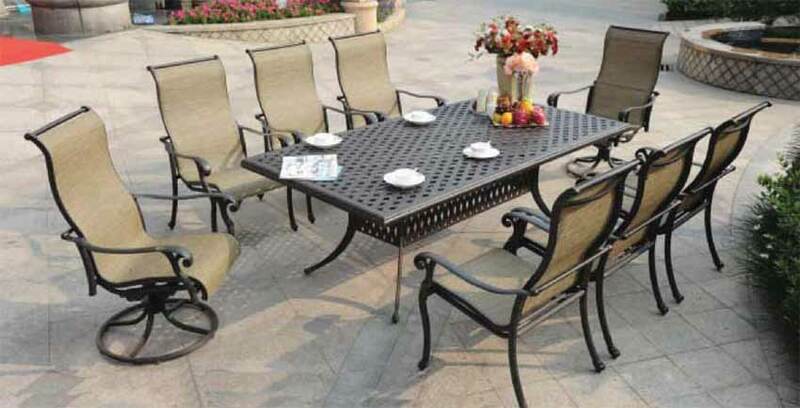 Comfort and easy maintenance, Sling Patio Furniture has gained in popularity. Great for around the pool or on the back deck. Sling furniture stays cool and dries quickly. Available in many, many different frame colors and fabrics, you can really customize the look for your outdoor room. And the selection is not limited to just seating. Sling style sofa's, loveseats, and club chairs are also available. Let our sling patio furniture specialists assist you in designing the seating you've always been looking for!